Definition at line 28 of file AVRTargetMachine.h. Definition at line 42 of file AVRTargetMachine.cpp. Definition at line 74 of file AVRTargetMachine.cpp. Definition at line 39 of file AVRTargetMachine.h. Definition at line 87 of file AVRTargetMachine.cpp. Definition at line 91 of file AVRTargetMachine.cpp. 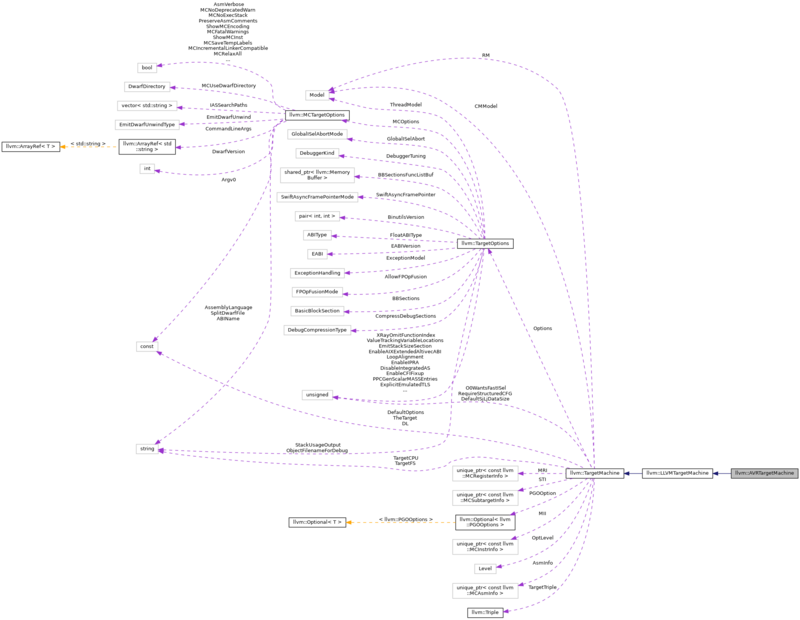 References llvm::BranchRelaxationPassID, llvm::createAVRDynAllocaSRPass(), llvm::createAVRExpandPseudoPass(), llvm::createAVRFrameAnalyzerPass(), llvm::createAVRISelDag(), llvm::createAVRRelaxMemPass(), and llvm::TargetMachine::getOptLevel(). 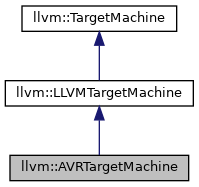 Definition at line 45 of file AVRTargetMachine.h.